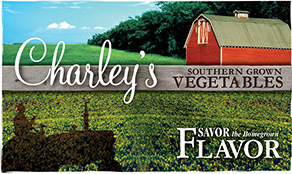 If you ever wondered what they ate in the 1800s, then try Yellow Pear Heirloom Tomatoes. They have been around that long or longer! This little, yellow, pear-shaped beauty grows vigorously on indeterminate, bushy plants that produce until frost. They have a mild, sweet flavor. Marigolds make good companion plants for tomatoes because the roots contain thiopene. Certain nematodes find this substance toxic and will either avoid it or meet more severe consequences. Dandelions are another good plant to have in your tomato patch believe it or not. Tomatoes are susceptible to fusarium wilt, which is a soil borne fungal disease and dandelions can help keep this in check. Plant tomatoes along side of radishes, spinach, lettuce and turnips to help shade them from the hot sun. Though there is some debate, cabbage and cauliflower may benefit from having tomatoes close because they discourage flea beetles from nibbling. Some sources will contend that planting cabbage with tomatoes will hinder the growth of the tomatoes. Most gardening requires some trial and error to figure out what works best for your environment. Tomatoes are also helpful in repelling asparagus beetles. Good plants to pair with tomatoes are basil, carrots, chamomile and marigolds but keep them separate from fennel and potatoes. Outstanding Features: Produces 100s of tomatoes on one plant. 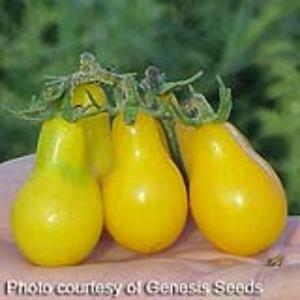 Or click here to buy Yellow Pear Tomatoes direct from www.buygardenvegetables.com.